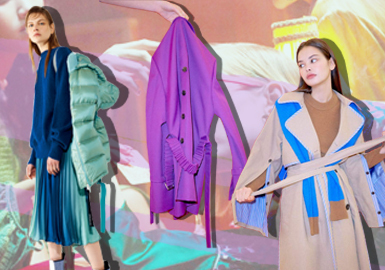 In 19/20 A/W trunk show, coats are diverse. The main styles are simple&sophisticated and sports street fashion. Sports street fashion combines workwear, deconstruction, splicing, color blocks to make street fashion more diversified; while simple&sophisticated style features simplicity and richness.